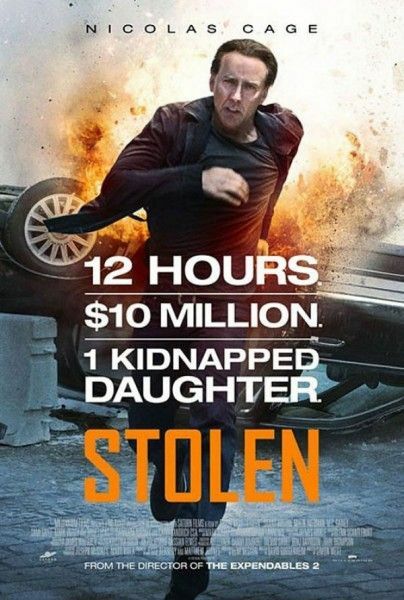 The first trailer for the action thriller Stolen has been released. Previously referred to as Medallion, the film reteams Nicolas Cage with his Con Air director Simon West. Cage plays a former master thief who only has a few hours to find his daughter when she is kidnapped and locked in the trunk of a New York taxi cab. Malin Akerman plays Cage’s ex-girlfriend with whom he teams up to find his daughter, while a long-haired Josh Lucas plays the antagonist, Cage’s former partner who’s gone a bit off the deep end. Despite the cheesy “movie trailer man” voice over, the film actually looks like it could be a fun ride. The Taken comparisons can’t be ignored, but under the direction of West Stolen doesn’t seem to be taking itself too seriously. And was that a stuffed animal I saw in Cage’s arms or was I dreaming? Hit the jump to check out the trailer. The film also stars Danny Huston, Sami Gayle, and M.C. Gainey. Stolen opens on September 14th.